The Uncurated Life: A-10-SHEN: TIGI Bead Head PH Ipad Giveaway! A-10-SHEN: TIGI Bead Head PH Ipad Giveaway! TIGI Philippines have something cool and happening for everyone! Join their first facebook and twitter contest! It's so easy to join! Who doesn't love great hair? TIGI Philippines, the leading company of fashionable and funky hair care is now on Facebook and Twitter! To kick off the TIGI experience, we're awarding one lucky fan with their very own iPad plus oodles of cool TIGI products! The rules? As easy as pie -- just follow the simple mechanics below to qualify! 2. 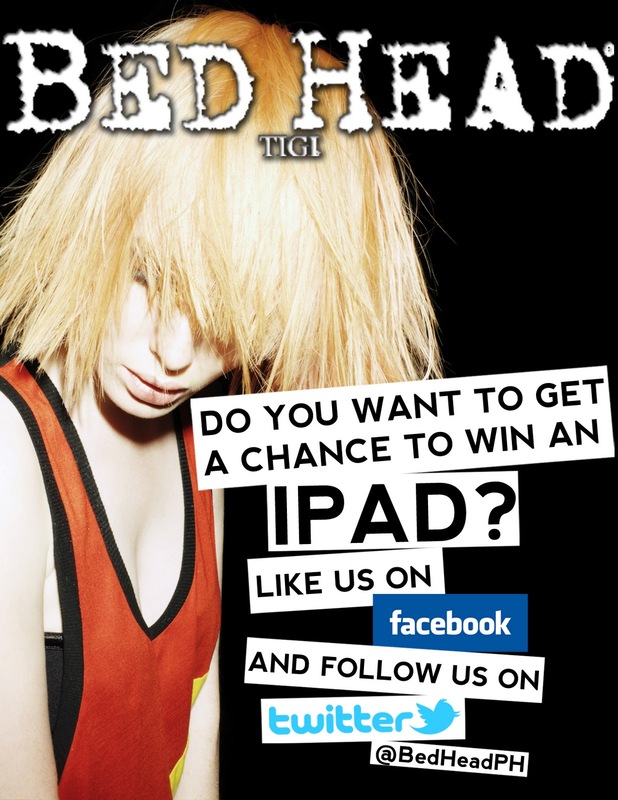 Post this on your wall publicly: "Follow @TIGI - Bed Head, Catwalk, S Factor on Facebook and get a chance to win an iPad plus rockin' TIGI goodies." Share the love and tag two of your friends in your post. - Giveaway will run on a one-month period from October 27-November 27, 2011. This is open to Philippine residents only. - The winner will be picked by TIGI and notified via email. - The winner MUST be able to travel to Manila to claim his/her prize. I'm not the one running this contest so don't comment here. Hehehe! Just informing you guys!